Runners Nguyen Thi Oanh, Nguyen Thi Hang and Hoang Thi Ngoc bagged a bronze medal in the women’s 4 x 400m relay with a time of 3:33.23. 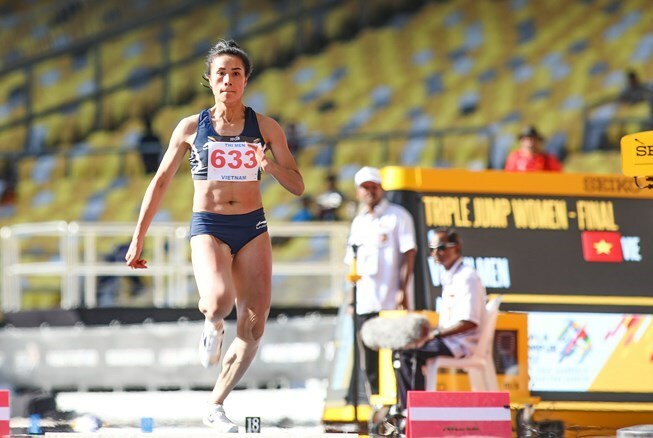 Meanwhile, Vu Thi Men leapt 13.93m in the women’s triple jump to win a bronze medal, also her individual record. Kurash martial artist Nguyen Thi Lan brought home a bronze medal after losing to Munkhtsetseg Otgon from Mongolia 0-10 in the semifinal in the women’s under 78kg event. It is also the first medal for Vietnam’s kurash team at ASIAD 2018. As of 10 pm of August 30, the Vietnamese delegation pocketed 4 gold, 15 silver and 16 bronze medals, ranking 15th in the tally. The four golds of Vietnam were in pencak silat (men’s tanding 70-75 kg and 90-95 kg), women’s long jump and women’s lightweight quadruple sculls category.